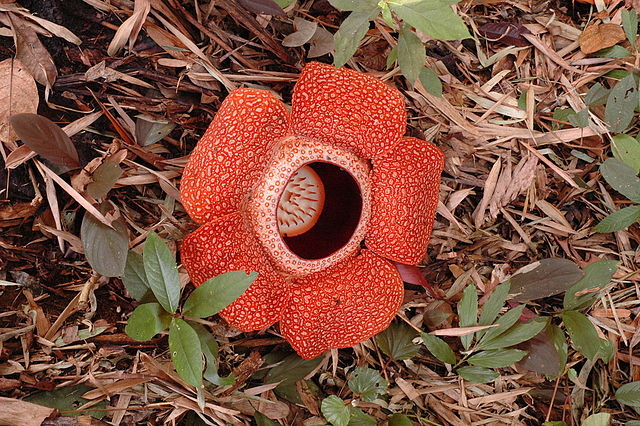 Considered one of the rarest in the world not only for its gigantic petals but also for the putrid smell it emits to attract pollinators and prey, the genus rafflesia is endemic in Malaysia, Thailand, Indonesia and the Philippines. 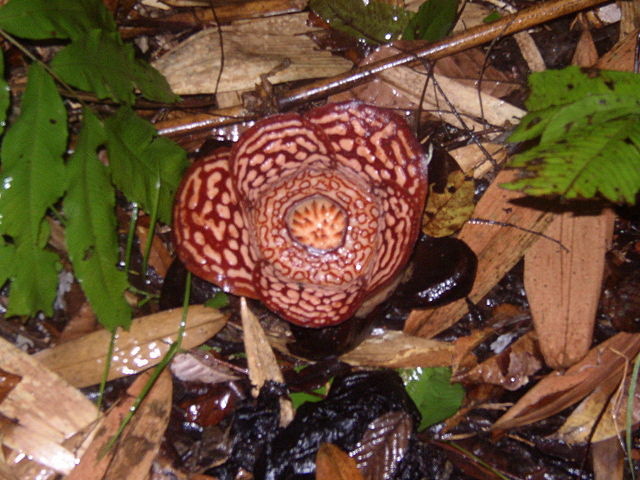 Host plant: Some species of Tetrastigma Vine, found in the rainforest. 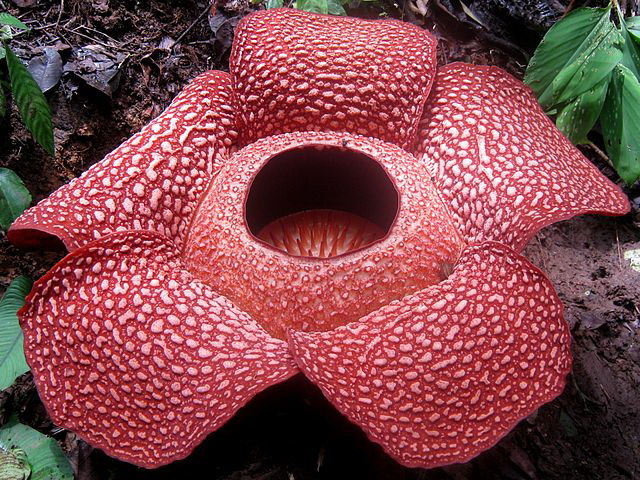 The Rafflesia may be the heavyweight champion among blooms, but it is also extremely shy and temperamental. 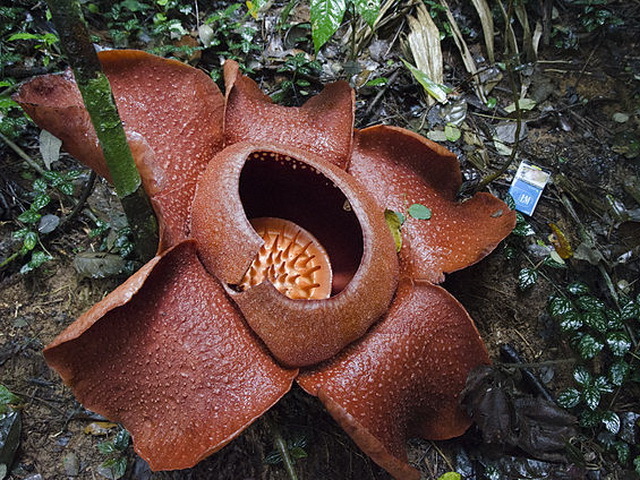 The world's largest flower, an allegedly stunning sight, is a rare, short-term bloomer and so temperamental, even Singapore's Botanic Gardens has not yet succeeded in growing its own. 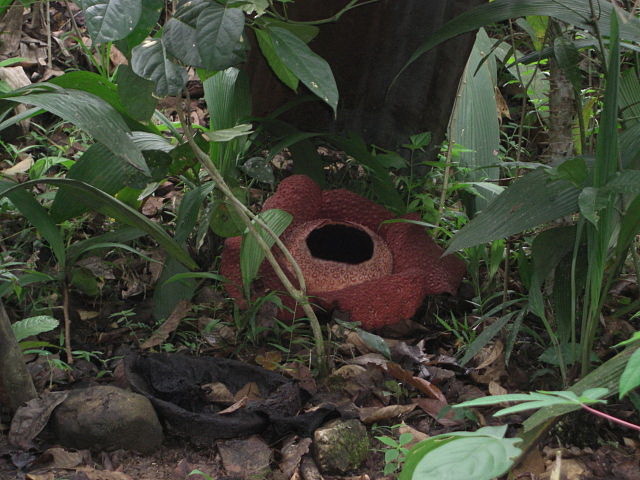 Once a year the Rafflesia grows to a diameter of one metre-plus with five cabbage-lookalike, leather-textured, dull-red spotted petals and with a bowl-like centre that could swallow up a drain cat (and that does swallow flies and insects for its own sustenance). 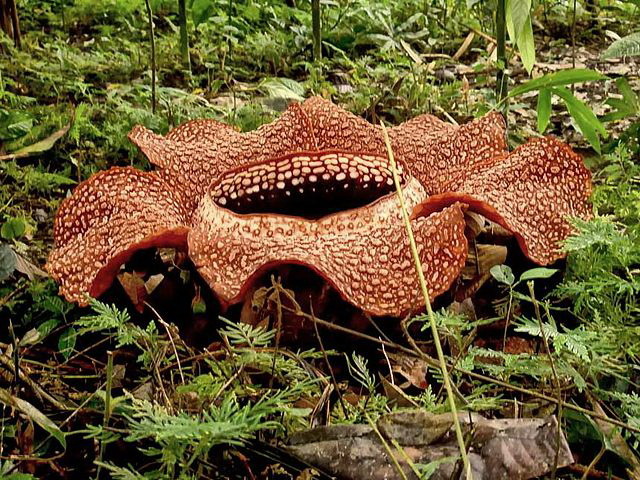 But it may take up to nine months to spring from seed to pod to flower, and it stays in bloom for just a few days (upper limit: one week). No one can forecast just when, either. Some say after heavy rainfall, others say only if the month ends in "er", others say in July. 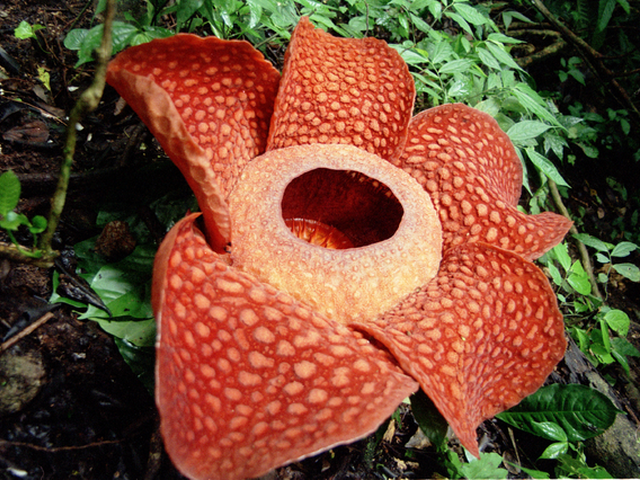 The flower withers only after emitting a stench to draw insects. The bloom hollow at the centre and white and red-spotted, has five petals. 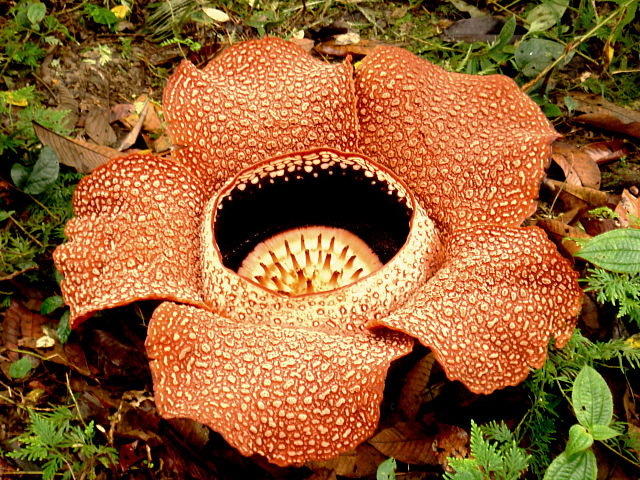 It takes about nine months for the flower to bloom and it can only last for a week. 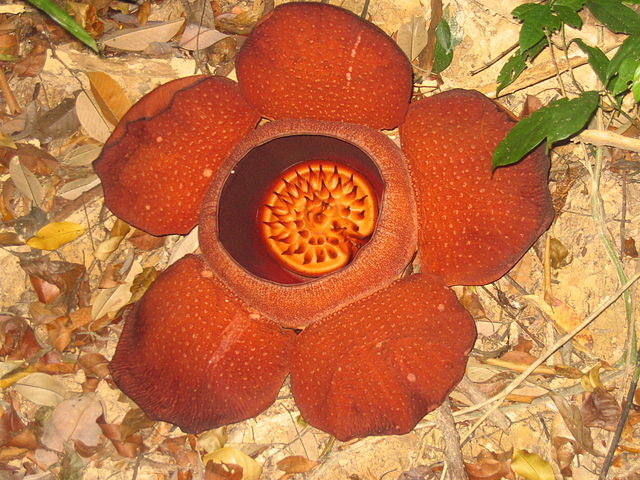 A Rafflesia flower can grow up to a metre in diameter, and the biggest can weigh up to 7kg. 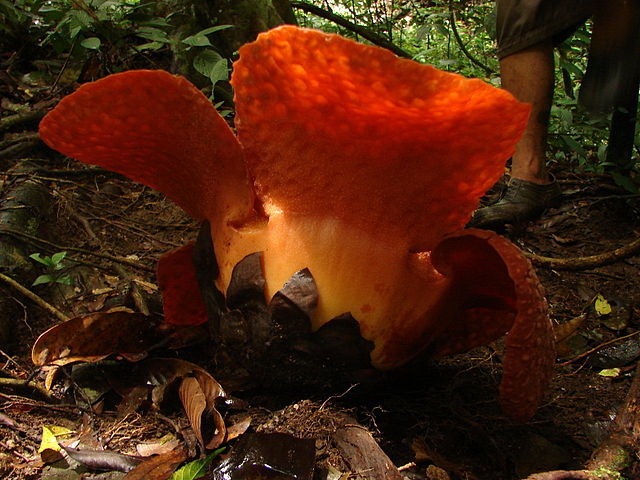 Despite having such a huge flower, the parasitic plant has no root or stem and grows inside its host, a Tetrasigma vine, which is of the grape family. 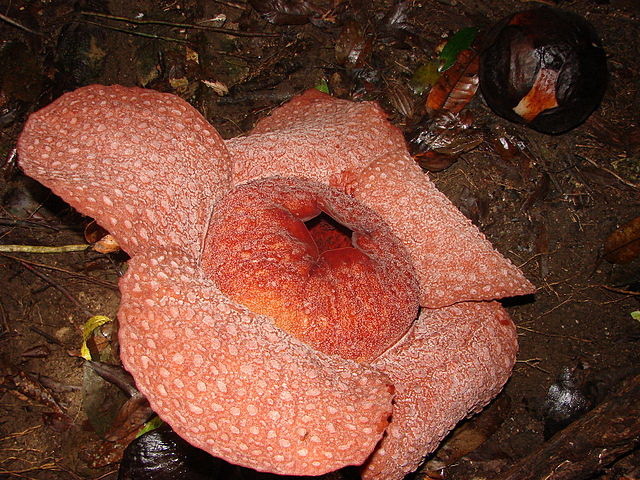 There are 20 Rafflesia species in the world, with Malaysia and Indonesia having eight species each. 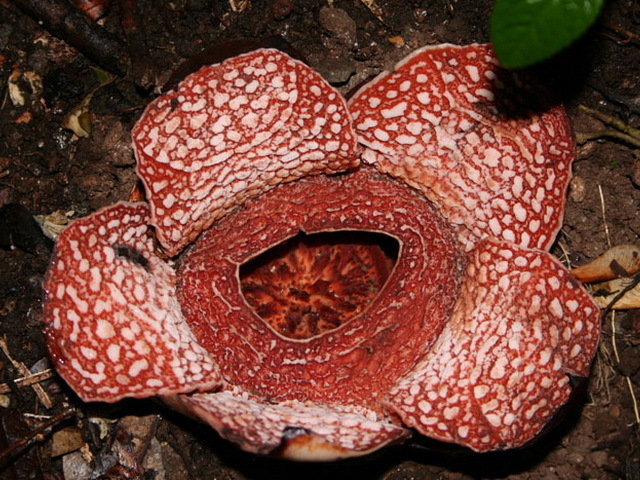 When a Rafflesia flower blooms, it emits an overpowering scent of rotten meat.